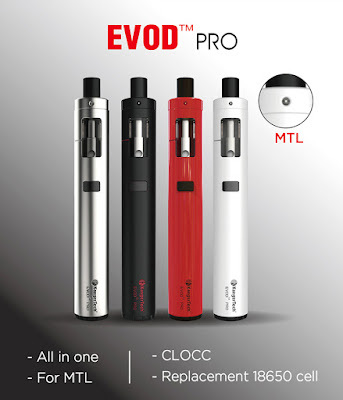 Home / all-in-one kit / Evod Pro Starter Kit / Kanger / Kanger EVOD Pro / Kanger Evod Pro Starter Kit / The Switch Of Kanger EVOD Pro Kit ! The switch Of Kanger Evod Pro Kit is not round or silver, it's a short black rectangle. Instead of the narrow drip tip as seen on a regular EVOD tank, this one is a short, insulated mouthpiece designed to keep hot vapor away from vapers' lips. This tip is also wide to allow lots of vapor through.